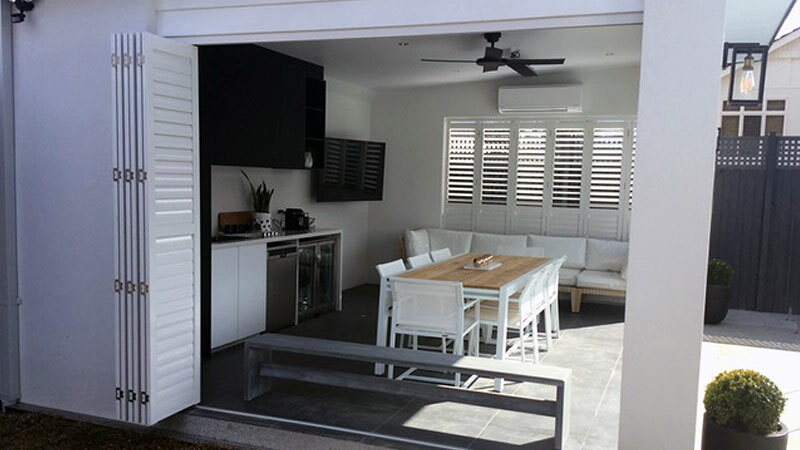 Outdoor aluminium shutters give you year round use of outside entertaining areas. 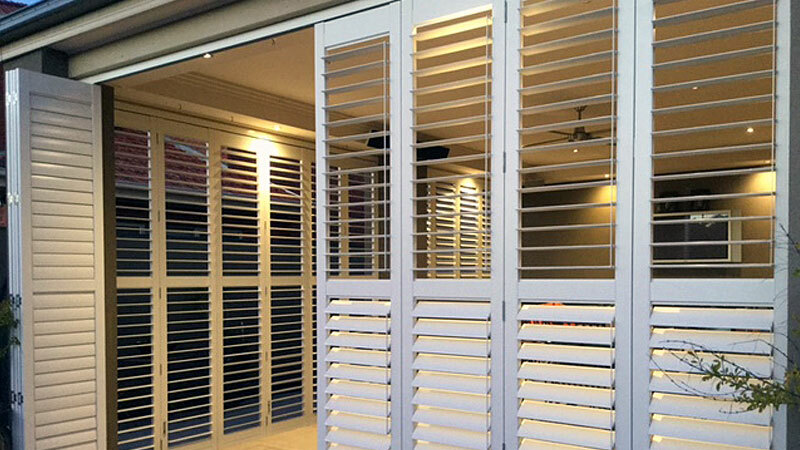 Made from long-life aluminium, shutters transform decks, patios and al-fresco zones. All while giving your Melbourne home that resort look. 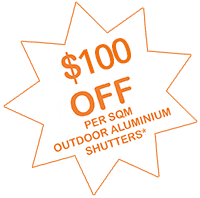 Our Outdoor Aluminium Shutter offer has been received wonderfully so we've decided to extend it a little longer. Select your shutter colour from the vast Dulux colour range! 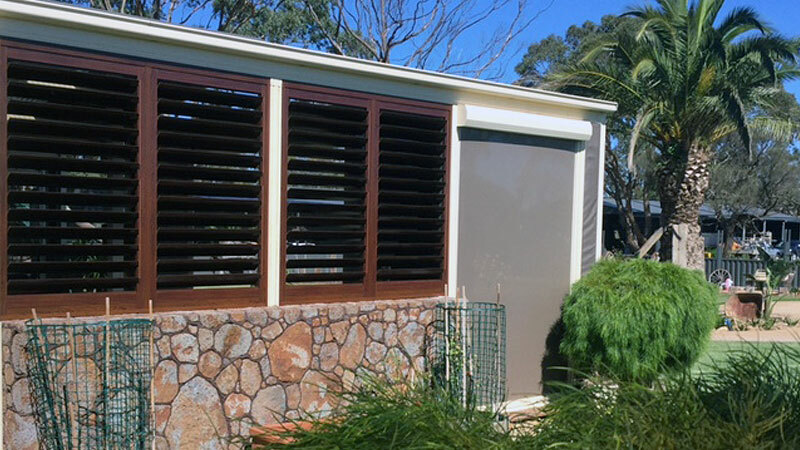 Our new Aluminium Shutters are a must have for a modern and stylish look to your outdoor entertaining areas such as Alfresco, Patio BBQ or Pergola. 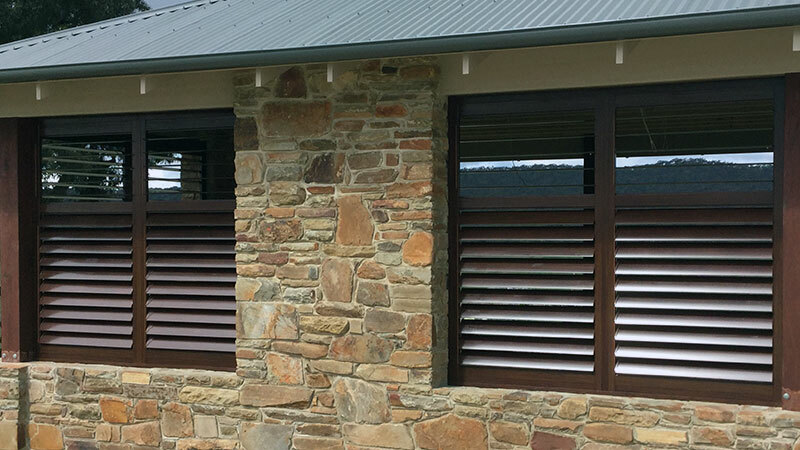 A replication of the indoor shutters, they are specifically designed with strength for outdoor use. Available in a variety of colours and timber look finishes. 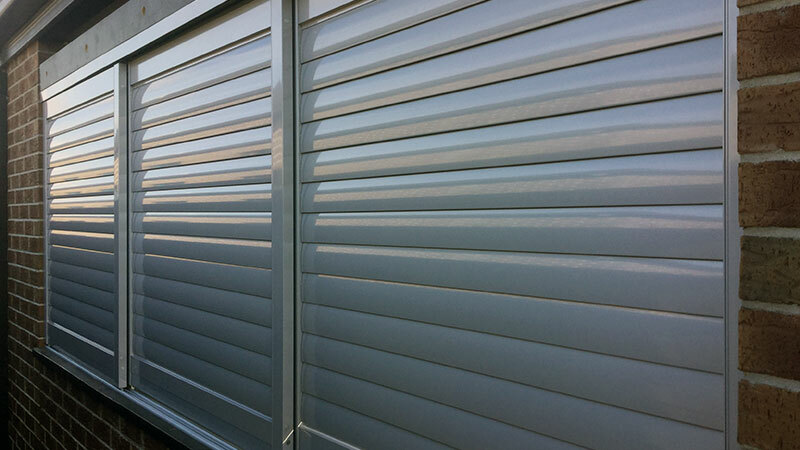 Choice of sliding, fixed or bi-folding applications. A great look that will last a lifetime with easy maintenance. 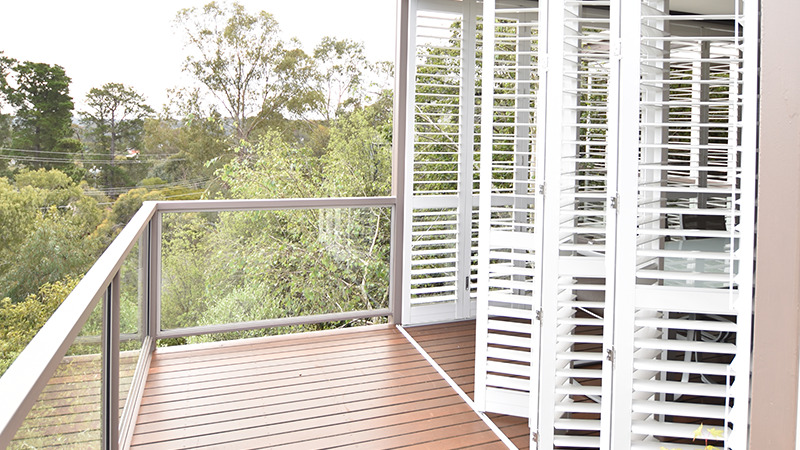 Now you can have that desirable look of plantation or timber shutters, outdoors. 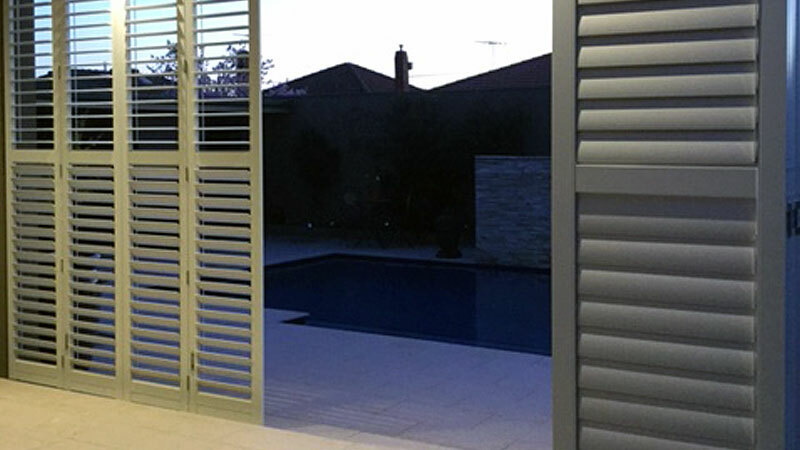 If you'd like more control over light and privacy as well as comfort, aluminium shutters make sense. 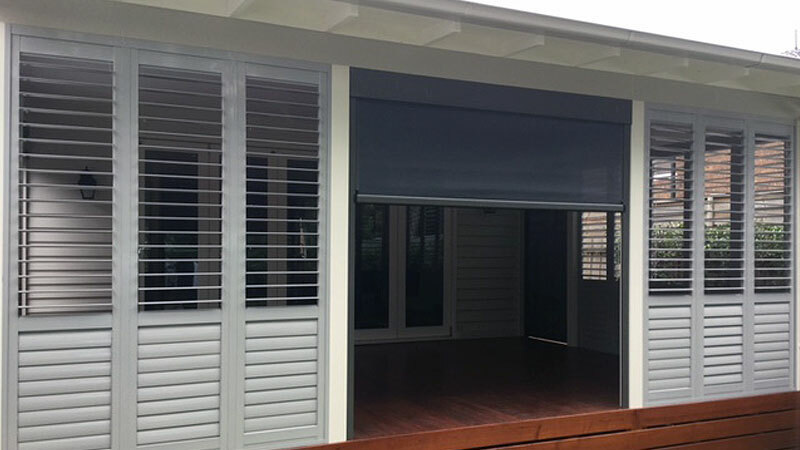 With the option to glide, stack or fold away, you'll have all same openness and practical features as outdoor blinds. 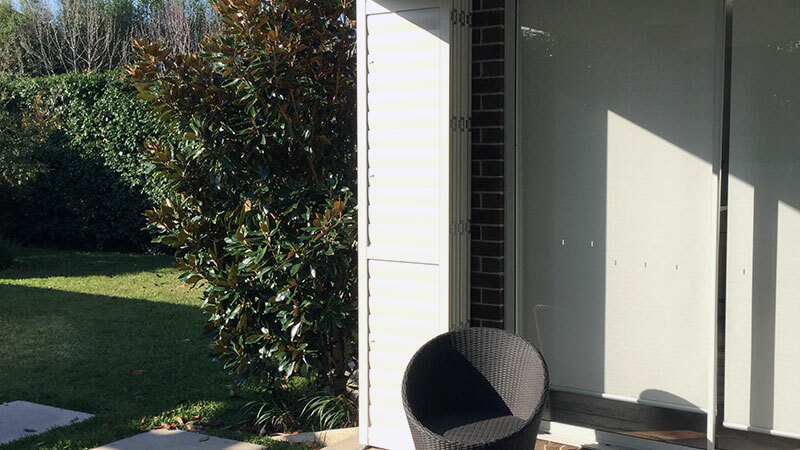 Yet shutters give you even more. 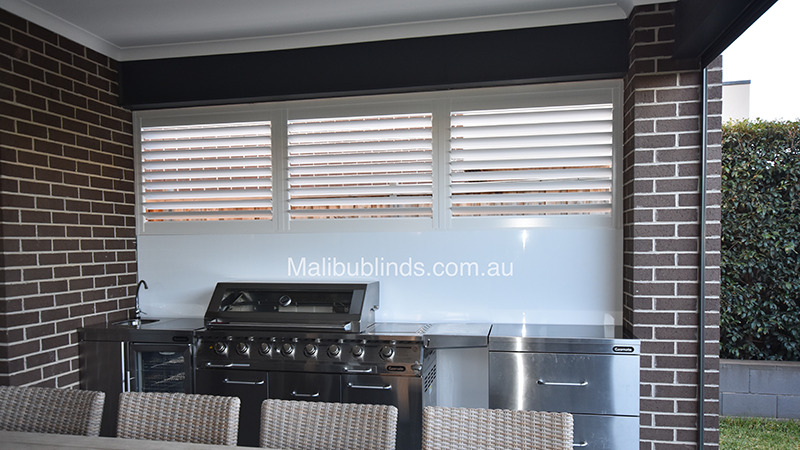 Movable slats let you control and adjust light or weather as conditions change (so often a concern to Melbourne outdoor entertaining). 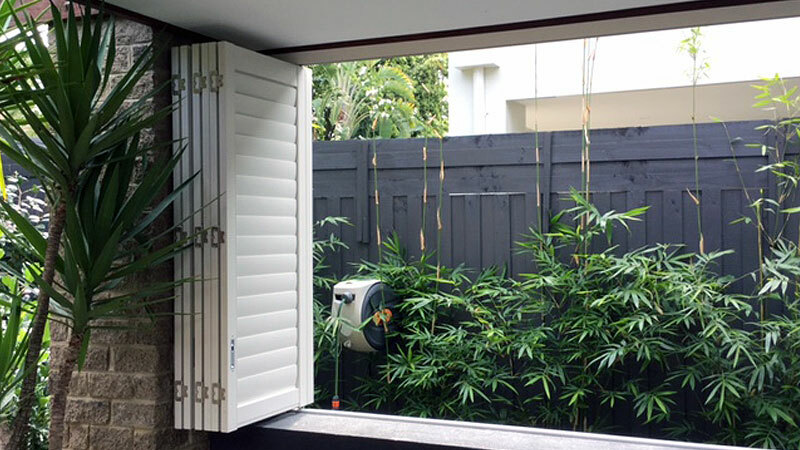 Outdoor Shutters can be partly or wholly closed, for total privacy. 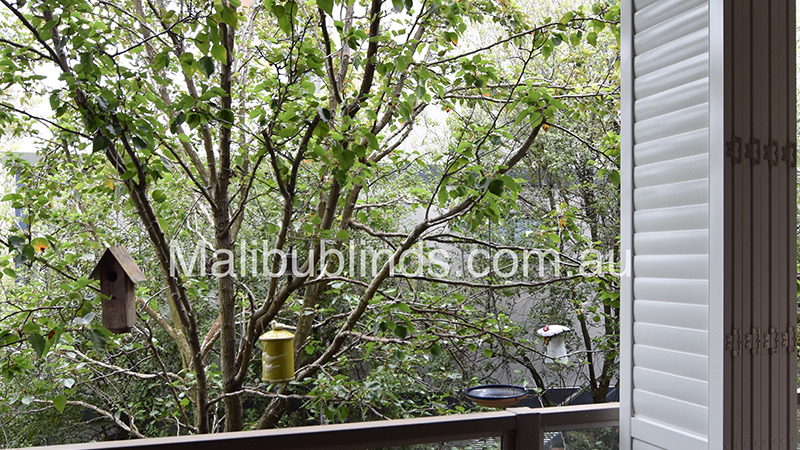 This also helps retain extra warmth in your outdoor area. 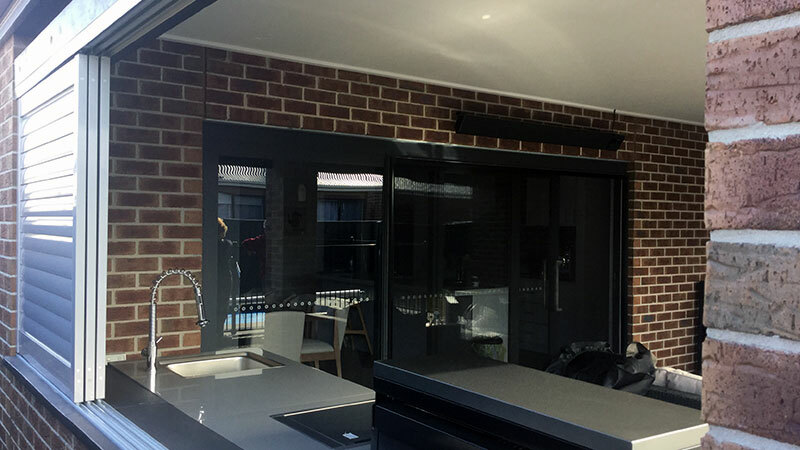 So if you are barbequing in Melbourne's cooler months, outdoor dining is an option. 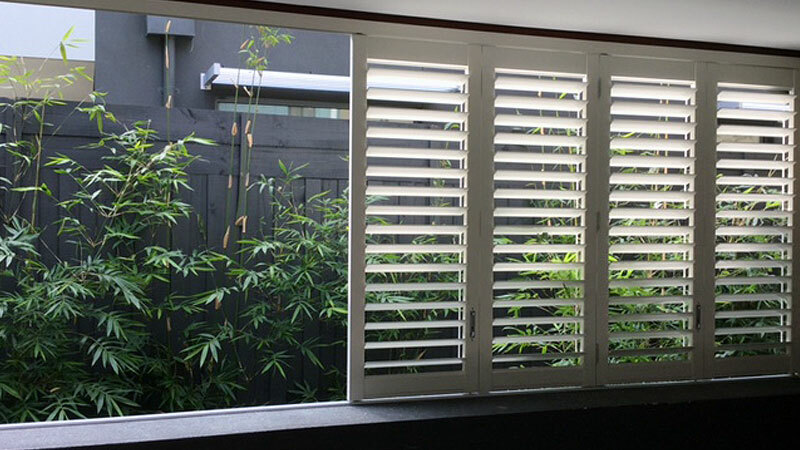 Available in widths to suit any installation, aluminium shutters are attractive, long-lasting and almost maintenance-free. 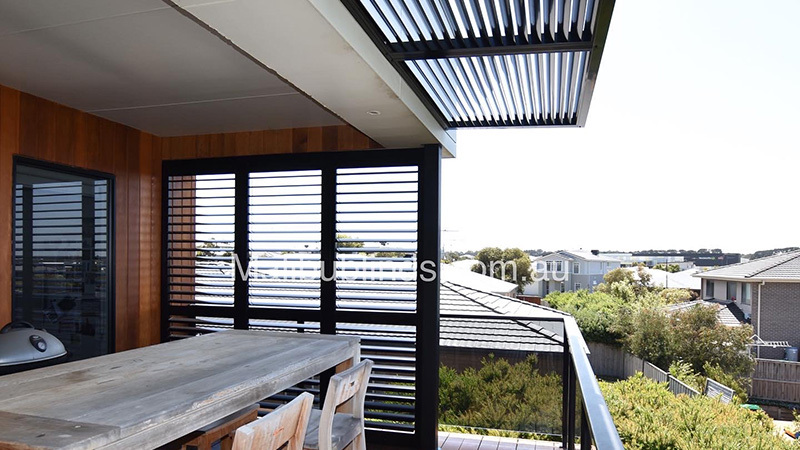 New and Functional Increase your outdoor living space with the ability to control your view. 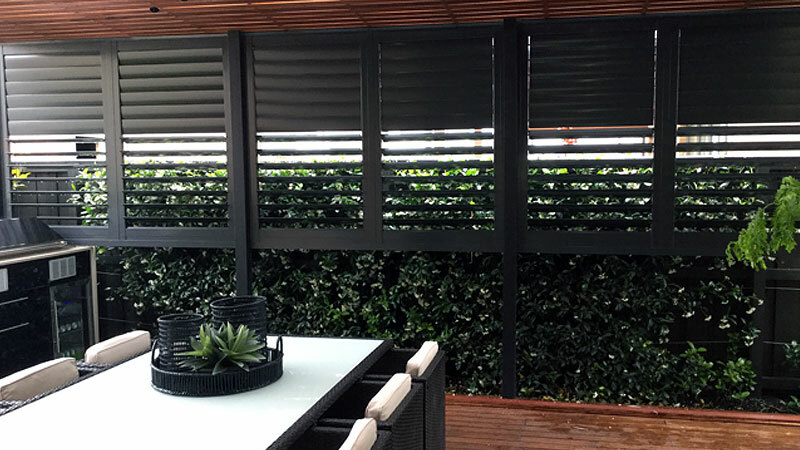 64mm, 89mm Flat or Elliptical, 114mm & Fixed Louvres Maximize your view and air flow with the extra wide 114mm elliptical blade. 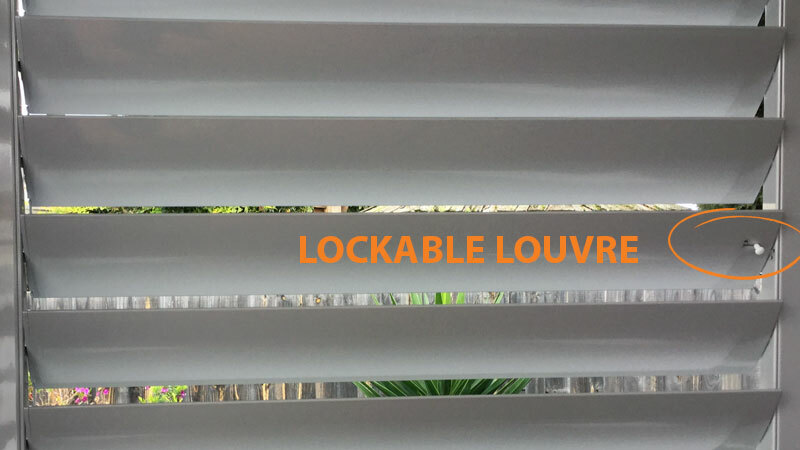 With excellent insulation capability to deflect unwanted heat, rain or sun. Tough & Stiffened Inside Ribs Strength resistance, durability. Replaceable Louvres On site replacement for damaged louvre. 5 year warranty We've got it covered.